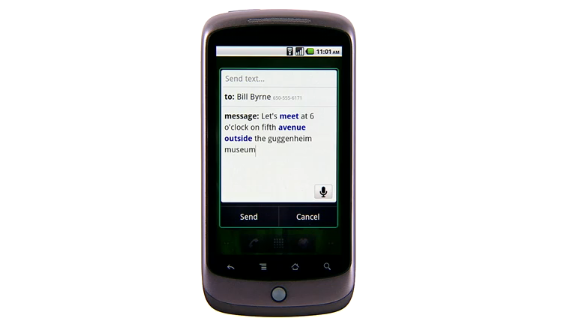 Voice Actions are a series of spoken commands that let you control your phone using your voice. Call businesses and contacts, send texts and email, listen to music, browse the web, and complete common tasks, all just by speaking into your phone. And like the title says, this is only available to those on Froyo meaning that Droid X and Incredible users out there are S.O.L. until we see an update. Droid 1 users and Droid 2 users though, have a blast! For the list of commands, check out the official Google Voice Actions page here. Also with this announcement, you have the option to download a new Voice Search app and a special widget. Voice search here. Widget here.